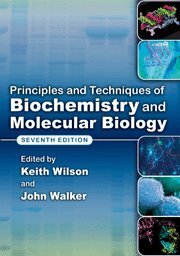 This best-selling textbook for bioscience undergraduates uniquely integrates the theory and practice of key experimental techniques. The problem-solving approach continues with worked examples and the new feature of case studies supports student learning and shows the relevance of the principles and techniques. Now includes drug discovery and clinical biochemistry. Keith Wilson is Professor Emeritus of Pharmacological Biochemistry and former Head of the Department of Biosciences, Dean of the Faculty of Natural Sciences, and Director of Research at the University of Hertfordshire.